Paul Eugen Bleuler (April 30, 1857 – July 15, 1939) a Swiss psychiatrist, was a pioneer in the treatment of psychoses, particularly schizophrenia. He is responsible for changing medical opinion from one of resignation to such diseases as organic and irreversible, to psychologically based and potentially treatable, at least to some extent. He is credited with the introduction of several important terms: “schizophrenia,” "ambivalence," (significant in psychoanalytic theory), and "autism." Inspired by Freud’s work, Bleuler was one of the first to apply psychoanalytic principles in treating psychotic clients. In 1916 he published the book Lehrbuch der Psychiatrie, which became the standard textbook in psychiatry for decades. Bleuler's approach to patients suffering from psychoses was a radical departure from the prevailing view that these were irreversible, organic brain disorders, and hence untreatable. Using Freud's psychoanalytic approach developed with neurotic patients, he believed that psychoses likewise had psychological roots, and therefore the patients could benefit from treatment, at least to some extent. Unlike many of his contemporary psychiatrist colleagues, Bleuler was genuinely interested in his schizophrenic patients, from their human side. He tried to find methods to cure then, or at least to ease their condition, rather than seeing them as hopeless, incurable cases. He regarded schizophrenia as a psychological disorder, involving a "splitting" of the mind, and he correctly observed disordered thinking in patients who appeared to have lost touch with reality. However, since he did not have any understanding of the spiritual world he could not recognize spiritual influences as a possible cause of some of these problems. Paul Eugen Bleuler was born in Zollikon, a small town near Zurich, Switzerland. He studied medicine in Zurich, and later in Bern, London, and Munich, after which he returned to Zurich to take a post as an intern at the Burghölzli, a university hospital. In 1881, he received his medical license and in 1883, his doctorate in medicine. 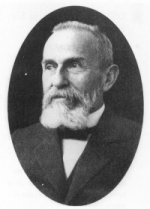 In 1885, Bleuler started work as an assistant physician at the Burghölzli, and in 1886, as the director of the Pflegeanstalt–Rheinau nursing home near Zurich. He spent the next 12 years there. In 1898, he became the director of the famous Burghölzli Psychiatric Hospital, where he stayed until his retirement in 1927. At the same time, he was teaching at the University of Zurich as a professor of psychiatry. In following years, he employed Carl Jung as an intern under his guidance. Together with Jung, Bleuler was inspired by Sigmund Freud’s psychoanalysis and was an early member of the famous Vienna Psychoanalytical Society. However, Jung eventually resigned his position at the Burghölzli, and Bleuler left both the Swiss and the international psychoanalytic associations. Bleuler died in 1939 in his native Zollikon. In his research, Bleuler was particularly influenced by two contemporary theories: the psychoanalytic theory of Sigmund Freud and Wilhelm Wundt's structuralist approach. Bleuler tried to work on unification of these two approaches, but finding that their assumptions and interpretations were too distant, he later turned towards his own research on mental illness. Bleuler is particularly noted for his research on schizophrenia, a disorder that was previously known as dementia praecox. In 1908, Bleuler coined the name “schizophrenia,” realizing that the condition was neither a dementia—an organic deterioration of the brain—nor did it always occur in young people—praecox meaning early. The older form (dementia praecox) is a product of a time when not only the very concept of dementia, but, also that of precocity, was applicable to all cases at hand. But it hardly fits our contemporary ideas of the scope of this disease-entity. Today we include patients whom we would neither call "demented" nor exclusively victims of deterioration early in life (1911, 7). Instead, Bleuler discovered that this disease consists of a divided state of mind where contradictory inclinations co-exist. Thus, he renamed the condition "schizophrenia," from the Greek words for split (schizo) and mind (phrene). I call dementia praecox "schizophrenia" because (as I hope to demonstrate) the "splitting" of the different psychic functions is one of its most important characteristics. For the sake of convenience, I use the word in the singular although it is apparent that the group includes several diseases (1911, 8). Bleuler’s position on schizophrenia was rather radical, as it went against Emil Kraepelin’s view, which was dominant at the time. Not only did Bleuler distinguish between dementias and schizophrenia, and thus questioned Kraepelin’s authority, but he also argued that schizophrenias do not always develop into full dementias, and therefore were treatable to some extent. Bleuler devised a system of communication with his schizophrenic patients, showing that their minds were not totally lost, but that they still could express their needs. I consider that up to the present the various schools of psychology have contributed extremely little towards explaining the nature of psychogenic symptoms and diseases, but that psychoanalysis offers something towards a psychology which still awaits creation and which physicians are in need of in order to understand their patients and to cure them rationally (Bleuler 1914: 26). In this way, Bleuler was one of the first psychiatrists to apply psychoanalytical methods, which were developed in the treatment of neurosis, to patients suffering from psychosis. By doing so, Bleuler rejected the prevailing belief that psychosis resulted from organic brain damage and was thus irreversible, suggesting instead that psychological issues could be involved and, therefore, treated. Through his research into schizophrenia, Bleuler also introduced two additional concepts that have proven valuable in the field. He used the term autism in his 1912 article in the American Journal of Insanity to describe the situation of patients who had lost contact with reality, and who appeared to exist in their own fantasy world, unable to communicate with other people. He also introduced the concept of "ambivalence," to denote the coexistence of mutually exclusive contradictions in the patient's thinking. Bleuler, Eugen P. 1906. Affektivität, Suggestibilität, Paranoi. Halle. Bleuler, Eugen P. 1950 (original 1911). Dementia Praecox oder Gruppe der Schizophrenien/Dementia Praecox or the Group of Schizophrenias. New York: International Universities Press. Bleuler, Eugen P. 1914. Quoted in Sigmund Freud, “On the History of the Psychoanalytic Movement" in The Standard Edition of the Complete Psychological Works of Sigmund Freud vol. 14. London: Hogarth Press. All links retrieved August 12, 2017. This page was last modified on 12 August 2017, at 15:17.